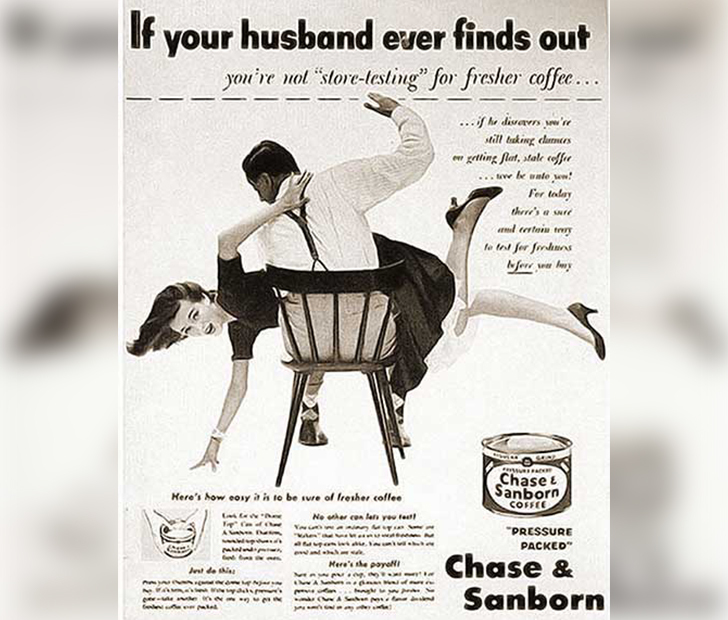 These Vintage Sexist Ads Are Unbelievable! Today, child services will be called on you if you spank your child, but apparently 65 years ago it was totally acceptable for men to spank their wives if they did something they didn’t like. What’s worse is that they’re suggesting a wife not getting the freshest coffee is such a horrible offense to deserve a physical beating. Madonna Confirms They Dated, But Why Did Tupac Break Up?